Bridget and Robert were married yesterday at Carberry Tower in Musselburgh. It is always a pleasure to work at Carberry tower. The hotel is beautiful and the staff are always very helpful. 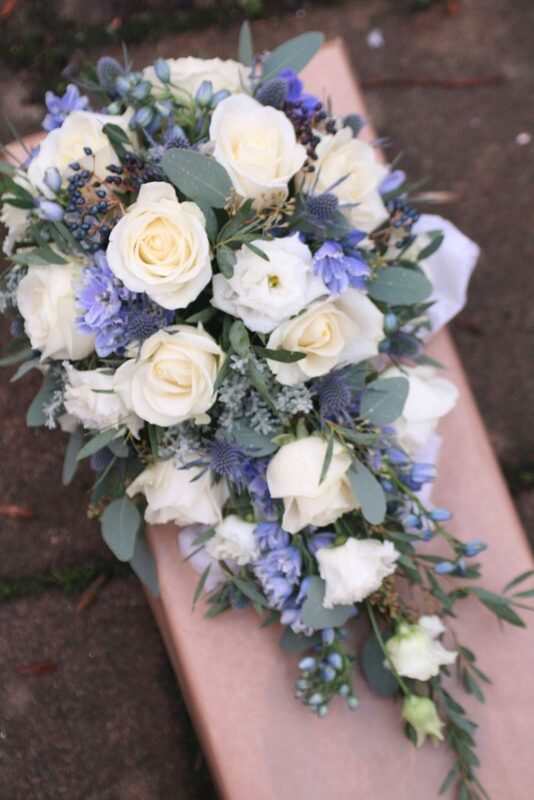 Bridget chose a lovely winter colour palette of ivory and blue. 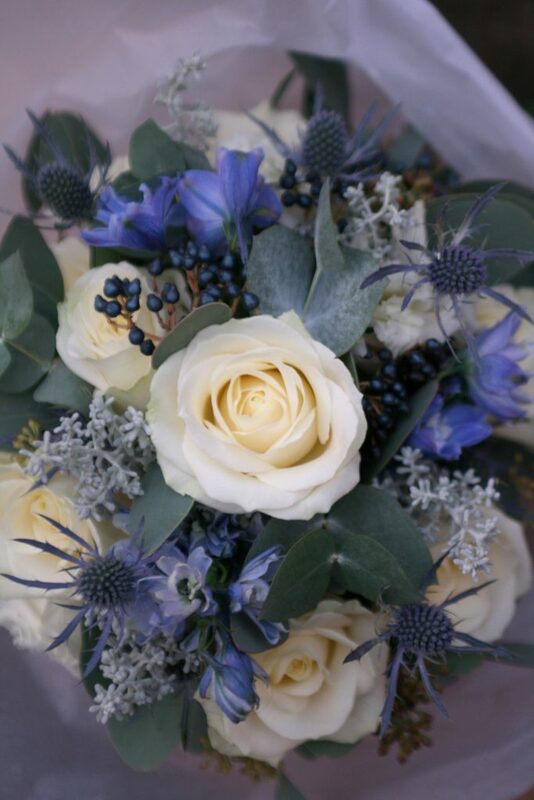 There are not too many pale blue flower varieties available at this time of year but I managed to source some beautiful pale blue delphinium which worked really well with the ivory roses, blue thistles, dark blue viburnum berries, kochia silver/grey foliage and eucalyptus parvifolia and populus. Bridget carried a shower/teardrop bouquet and her maid of honour a smaller hand-tied version of the bride’s bouquet. 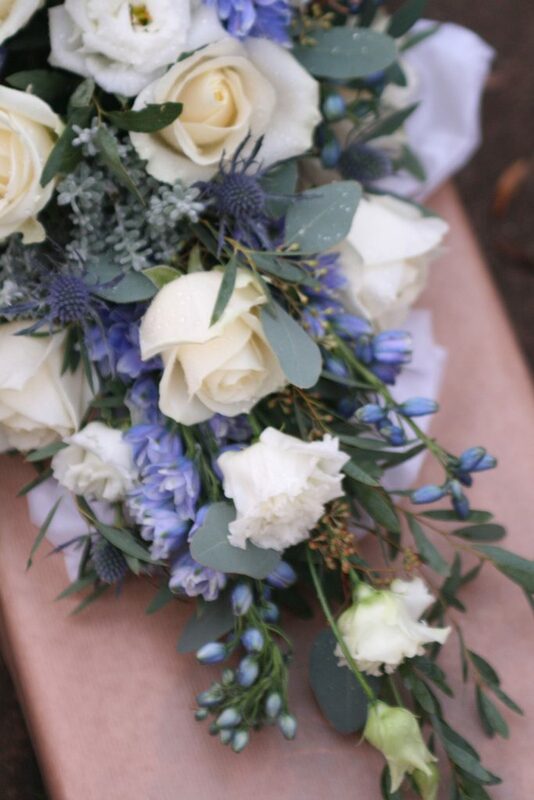 The gents wore rustic buttonholes of ivory roses, berries and foliage tied with pale blue ribbon. 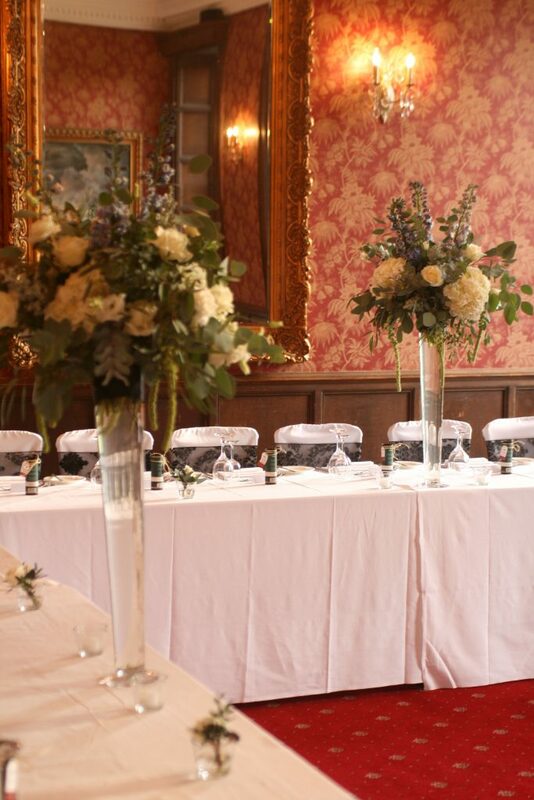 I also created tall wild centrepieces for the reception tables.